The city of Doral in Miami-Dade County is one of the fastest growing cities in South Florida, with a bustling business sector full of various financial institutions, shops, as well as importers and exporters. This distinction is helped by Doral’s nearness to Miami International Airport. The appeal of Doral is significant enough that it’s been listed among the top 100 cities with the best fusion of lifestyle appeal and business advantages according to Fortune Small Business and CNN Money. 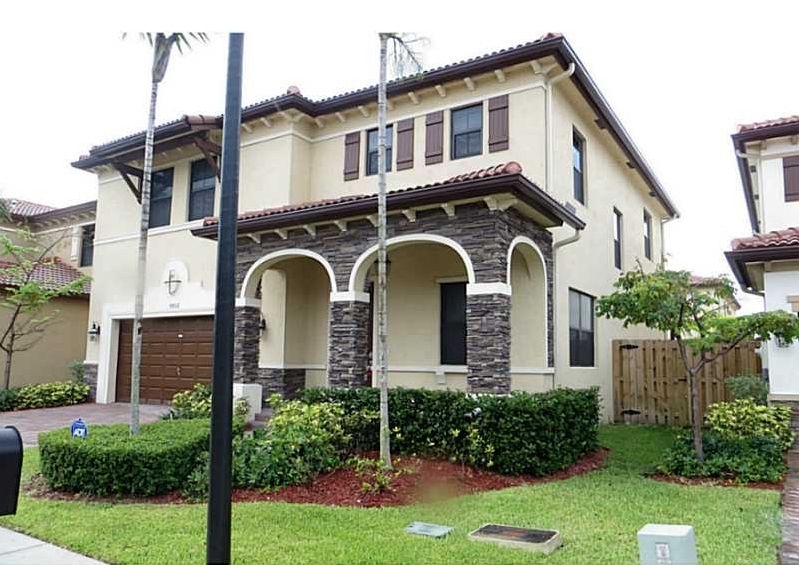 With its business appeal, Doral real estate is just as attractive and we have a great home for sale to talk about. The 9852 Northwest 87 Terrace property is a stunningly classic home located within the gated community of Isles at Grand Bay. The four bedroom, three bathroom home sits on a breathtakingly lush and large lot that spans over 4,000 square feet. Some of its features include an elegant marble staircase, a formal dining room, granite kitchen countertops, stainless steel appliances, high-end wood cabinetry, and much more. The patio is a natural sight to behold and the covered terrace allows plenty of room to enjoy the view. Besides Miami International Airport, 9852 Northwest 87th Terrace is also near the great shopping at Dolphin Mall and Miami International Mall. The city of Coral Gables is a couple of minutes away to the southeast.